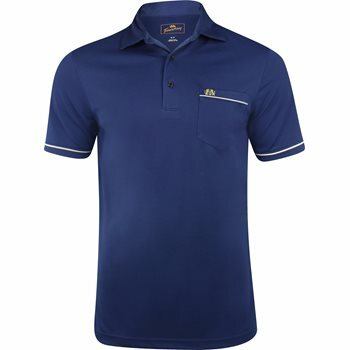 An old-school lightweight performance golf polo with contrast color piping detail. This stylish and easy-care shirt is made from a 100% Microfiber Polyester Pique fabric with a tailored collar, pearlized buttons and a left chest pocket. The iconic Tourney logo is embroidered on the left chest pocket.